Fisher-Price Laugh and Learn Love to Play Puppy Only $14.76 + FREE Prime Shipping! You are here: Home / Great Deals / Amazon Deals / Fisher-Price Laugh and Learn Love to Play Puppy Only $14.76 + FREE Prime Shipping! Looking for a great gift for a baby in your family? 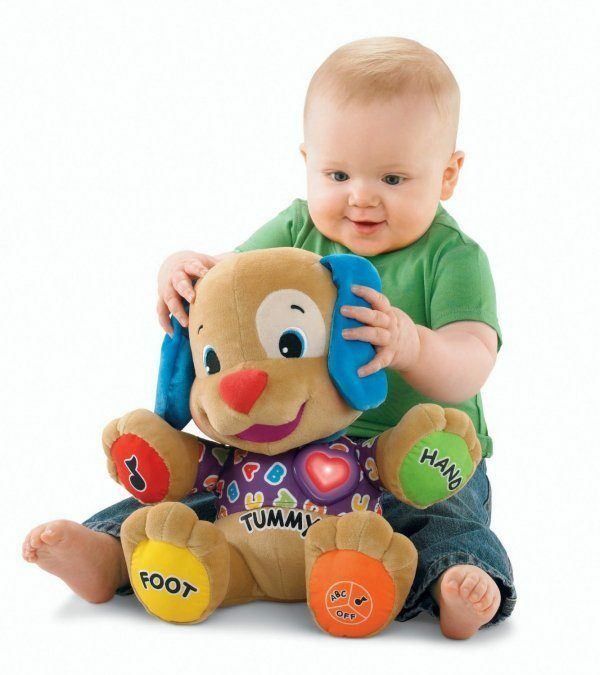 Grab the Fisher-Price Laugh and Learn Love to Play Puppy for just $14.76 (reg. $23) + FREE shipping with Amazon Prime or Super Saver Shipping! My daughter had this toy when she was younger, and she LOVED it! It was a great way for her to learn parts of the body while having fun!